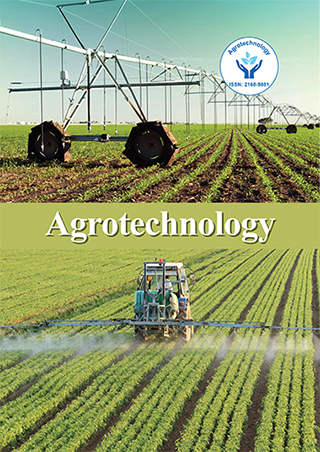 A study was conducted to evaluate the nutrient changes during growth of hydroponics fodder maize. The crude protein had increasing trend and remained highest on 7 th day of growth (13.57%), which was higher (P<0.05) than the conventional green fodder maize (10.67%). The ether extract content of hydroponics fodder maize on 7 th day (3.49%) was highest (P<0.05). The crude fiber content of the maize seed was 2.50% and increased (P<0.05) up to 14.07% on 7 th day of growth in hydroponics system but was lower (P<0.05) than the fodder maize grown under conventional practices (25.92%). The nitrogen free extract content of the maize seed decreased to its maximum level (66.72%) at 7 th day of growth in hydroponics system and was higher (P<0.05) to maize fodder grown under conventional practices (51.78%). The total ash and acid insoluble ash contents of the hydroponics fodder maize were lower (P<0.05) than the total ash (9.36%) and acid insoluble ash (1.40%) contents of the conventional fodder maize. It can be concluded that the hydroponics fodder maize was more nutritious than the conventional fodder maize.